Situated in the heart of Windermere village, the Community Hall is a beehive of activity. It is a beautiful venue for weddings and other private parties; a meeting place and activity centre for young people and seniors, for musical productions and dinner theatre, the WCA’s annual Fall Fair and Scarecrow Festival, and Wings Over the Rockies Birdsong Dinner among many other functions. The Community Hall, built in 1970, and its grounds were lovingly restored in 2000 by a group of dedicated volunteers with financial and other supports from the community and provincial government. The hall is licensed for 150 people and can easily accommodate 120 persons for dinner at round tables or 120 at rectangular tables with plenty of room for dancing. There is a stage with focused lighting for theatre productions and with risers and a piano for choir performances. Washrooms are wheelchair accessible. The kitchen has a commercial dishwasher, two self-cleaning stoves, two double sinks, microwave, bar counter, large refrigerator plus a full complement of dishes, glassware and cutlery available to rent. A patio outside the kitchen, but also accessible from the hall, has a BBQ installation. Another large patio with six round concrete tables and umbrellas is situated on the west side of the hall and is accessible from the hall through French Doors. A perfect place for wedding receptions, dances, parties, meetings, banquets, fitness classes , trade fairs, bake & craft sales.  The Windermere Community Hall is a warm and accommodating venue – consider it for your next event!